What do Boeing, Hitachi, Eli Lilly, Siemens, and Kone have in common? They are all global business leaders, and they all got there through outstanding project management. The secrets to project management are readily available, and they can be found inside Project Management Best Practices. Project management is all about taking control of change. Every aspect of your business is dynamic and constantly evolving. That means every aspect of your business can benefit from project management, from daily scheduling to value measurement. Do you understand what it takes to apply text–book methods on a companywide basis in the real world? It takes an understanding of best practices. Every company is different, and you need to be able to adapt project management theories to the real–world situations you face every day. 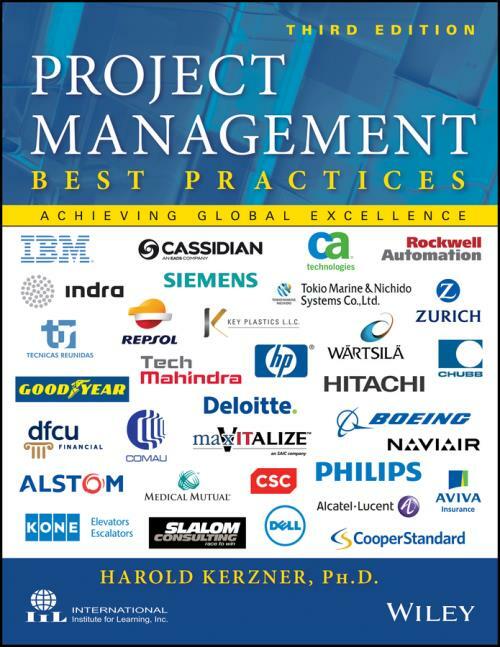 Since the first edition was published, the time–tested insights in Harold Kerzner s Project Management Best Practices have been helping executives, managers, and team members at businesses large and small. Now the Third Edition is here, incorporating emerging areas like virtual team project management and international corporate cultures. In this book, you ll hear from the next generation of trailblazers in global business. The legendary experts are here, too, all revealing the strategies they used to get to the top. Learn how companywide project management can add value and efficiency to your business at every level. Even if you know the traditional methodologies by heart, you may be missing best practices the key ingredient to PM excellence. HAROLD KERZNER, Ph. D. is a global leader in project management and Senior Executive Director at International Institute for Learning, Inc. Dr. Kerzner has instructed over 200,000 professionals in his successful Kerzner Approach to project management excellence. The Kerzner Scholarship Endowment Fund and the Kerzner Project Management Award are managed by the PMI Educational Foundation.